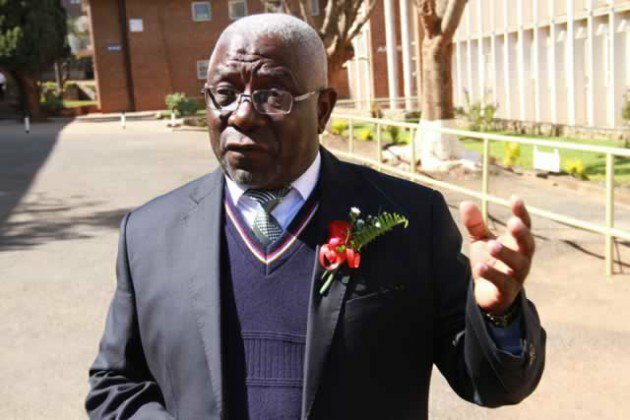 ADVOCATE Lewis Uriri yesterday recused himself from representing the suspended University of Zimbabwe Vice- Chancellor, Levi Nyagura in a case he is accused of criminal abuse of office for allegedly procedurally conferring former First Lady Grace Mugabe a Doctor of Philosophy Degree. Uriri, the lawyer who represented President Emmerson Mnangagwa in his defence against an election petition brought by MDC Alliance leader Nelson Chamisa last month, said he made the decision in the best interests of his client. He made the disclosure yesterday before magistrate Lazini Ncube when he was seeking postponement of the matter to October 22 saying the trial could not proceed since they were waiting for the determination of their application at the Constitutional Court. "Your worship, I won't be appearing in court for the accused for personal reasons," Uriri said. Asked to clarify, Uriri said: "I generally do not appear in the magistrates court and do not purport to practice in that court although licensed with the right of audience therein. Appearances in the magistrate court are interfering with my hectic superior court practice. I am generally going to be unavailable and do not wish to prejudice the accused person. This decision is in the accused's best interests." Allegations are that on sometime in 2011, Nyagura singlehandedly accepted and approved an application by Ntombizodwa Marufu (Grace's maiden name) to study for a Doctor of Philosophy Degree in Sociology without the knowledge and recommendations of the Departmental Board and Faculty of Higher Degrees Committee, in violation of UZ quality assurance, guidelines and benchmark. Nyagura allegedly abused his position after showing favour to Marufu who did not meet the minimum requirements to study the degree. It is alleged Nyagura's action has the effect of discrediting Zimbabwe's education system and affecting its international ranking and raising doubts about qualifications from Zimbabwe's institutions of higher learning.